In the area where our nonprofit works, unemployment is as high as 70%. Villagers depend on money they derive from their crops, and they exist on 50 cents a day. Women fare the worst. Most Honduran women begin having children in their early teens and typically have large families. These same women have no education past the sixth grade and no job skills. Their fate is sealed, a life of poverty just like their mothers and the generations of mothers before them. Microfinance, simply put, is a method of getting loans to poor people who have no credit history, no collateral, no income, and often no education. The concept of microfinance, of extending loans to the destitute, is revolutionary—and in fact is breaking the poverty paradigm on a global basis. Dr. Muhammed Yunus of India created the concept of extending micro-loans or micro-credits to the poorest of the poor in Bangladesh. Tiny loans were risked on villagers, “clients”, to start a business so they could generate income and support their families. Loans were used to buy a goat so milk and cheese could be sold; to buy bamboo to make furniture; to raise chickens to sell eggs. What Dr. Yunus and his team learned is the micro-loans were repaid quickly and villagers’ lives improved exponentially. Over time, women proved to be better clients than men because they repaid the loans more faithfully and invested their increased economic status in their children’s educations, healthcare, home improvements, and their commiunities. The concept has expanded globally with 85% of loans extended to single mothers who are heads of their household, those at the very bottom of economic status. The long-term benefit of microfinance is in its sustainability. Poor people are given an opportunity to have a small business and generate income, and embedded in the loan process is education to help clients form a business plan, develop and follow a budget, save to reinvest in their business as well as improve their economic status. Dependence on charitable organizations diminishs as clients become financially independent. In 2006 Dr, Yunus was awarded the Nobel Peace Prize for his revolutionary concept that is having more success at eradicating poverty than any other method. Helping communities develop a viable business that creates jobs for villagers is an enhancement of micro finance. What the villages need is start-up capital. 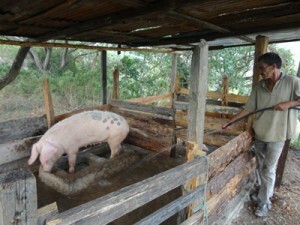 The Hondurans are then responsible for making the business successful. Two ingredients are necessary: utilizing a country’s natural resources and assets. 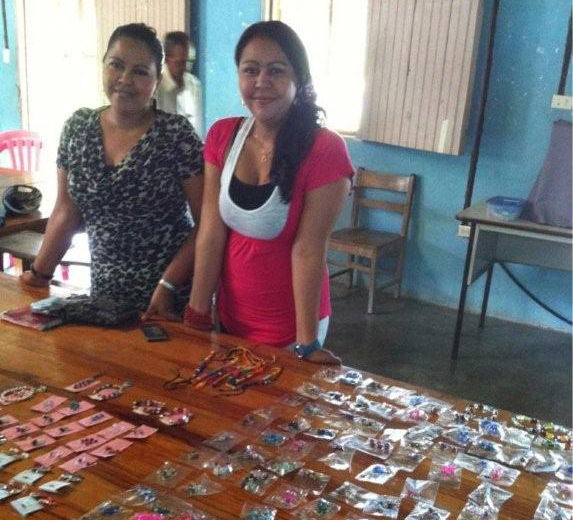 Micro-finance is a logical extension of programs offered by Honduras Good Works in El Paraiso. In 2012 the first trust groups were formed. Now the communities of Corral Quemado, Rancho del Obispo, Ojo de Agua, and Agua Blanco are active in microfinance. These are photos from two of the startups.